Well, we didn’t have to worry about stained to muddy water from run-off of Fall’s heavy rains…there literally wasn’t any! I center on this subject during the fall to late winter period in almost every fishing report I write. 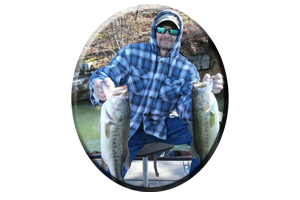 Mainly because its a big part of each and every angler’s game plan in his/her attempt to fool both largemouth bass and smallmouth bass when fishing Wheeler Lake during these cold weather seasons. Including my game plan. If I’m planning a fishing trip to Wheeler Lake, not only do I check the lakes level (prior to and), when I arrive, but also I check the water temperature as soon as I launch the boat. But water clarity (to most anglers) is usually not much of a concern…that is unless the lake is downright muddy! By the time I have left Wheeler Lake, which can include exploring some of its many feeder creeks, the Elk River and the main lake itself, all in a days time, I always know of each and every water clarity I encounter. Water clarity – how far you can see down in the water – dictates your lure selection. 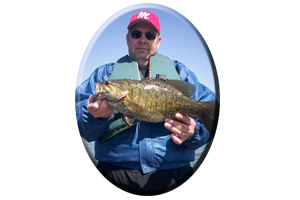 It also helps an astute angler select the right depth to be fishing, the right lure colors, lure actions and even utilizing the correct lure retrieve. So, like said, “its not been much of an issue,” because very little rain, creates very little changes in water clarity. But still, where you fish on Wheeler lake this winter can be. Changes in the water clarity of Wheeler lake’s 68,300 surface acres of water are only visible in the far back ends of major feeder creeks, the headwaters of the incoming Elk River on the lakes lower end. Flats seen throughout both the main lake and its feeders, where sudden daily rain can make a difference, are other choices. Evening thunderstorms have occasionally popped up in North Alabama this fall and during the early winter season, aiding in creating a more stained look to Wheeler Lakes water clarity in some areas. Water (current) being drawn through Wheeler Lake can stain up the lakes flats as well, especially those flats with muddy bottoms, or places featuring flats right in the current, the downside of main lake points, or even back water banks with dead or decaying aquatic weeds and visible scummy backwaters, such as Decatur flats, a mid lake area just below Interstate 65 crossing at mid lake. Decatur flats is a well known main lake flat loaded with hydrilla and milfoil aquatic weeds (at full pool), which has been a problem lately for anglers as well. Lake levels have been down since summer on Wheeler and lake levels continue to be down for winter pool at 3-5 feet low. The lake will probably be down until mid April, when hopefully we will have some traditional spring rains to help swell the lake back to normal, full pool levels. This low water lake level does have an effect on the aquatic weeds of Wheeler lake, for if there is no water in the shallows these weeds do not grow! Some weeds survive however, with rejuvenation of these shallow water weeds as they get sunlight and begin a new growth along the lakes new, low water shoreline. This includes winter time growing moss. Moss thrives well in cold weather and it can hold bass in warm water even when its cold to us. 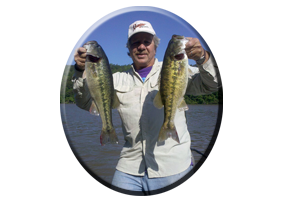 The water can be very warm to these bass, inducing them to feed in shallow water for days at a time. Like early December. Early December followed a state wide warming trend with daytime highs in the upper 70′s and nighttime lows unseasonably warm in the upper 50′s to low 60′s. I saw Wheeler lake’s late November water temps of low 50′s, rise 25 degrees in 2 weeks, into the mid 70′s by mid December! So keep in mind these little things, that always dictate your days fishing when visiting Wheeler lake this winter season. * Lake Levels – Wheeler lake is down from 3-5 feet. When the lake is down it is very dangerous for boat navigation. * Aquatic Weeds – Low water on Wheeler Lake for the last 6 months of the 2007 means some weeds are high and dry. Normally bank growing weeds and weeds such as Lilly pads are now non existent during the winter season. 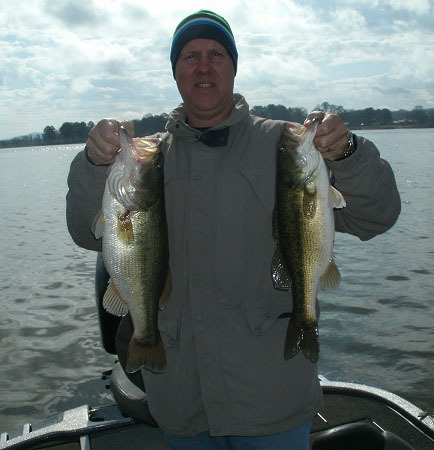 Millfoill, hydrilla and moss weeds still hold bass relating to these oxygen rich environments during winter. * Water Temperature – Keep in mind water displaying lots of current does not warm. Flats out of the swift, main lake current, those bathed in an all day sunshine, can heat up 3-5 degrees or more in one days time. Inducing more active bass to feed. Look for the warmest water available from mid mornings to late evenings. * Water Clarity – Clear water means selecting more natural lure colors on topwater lures, soft plastics and baitfish imitating lures like crankbaits, jerkbaits and lipless lures. 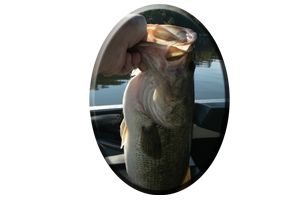 Stained water means choosing lures colors that can be seen better by the bass in off colored water conditions. Colors of chartreuse, lime, yellow or red and orange may be needed. 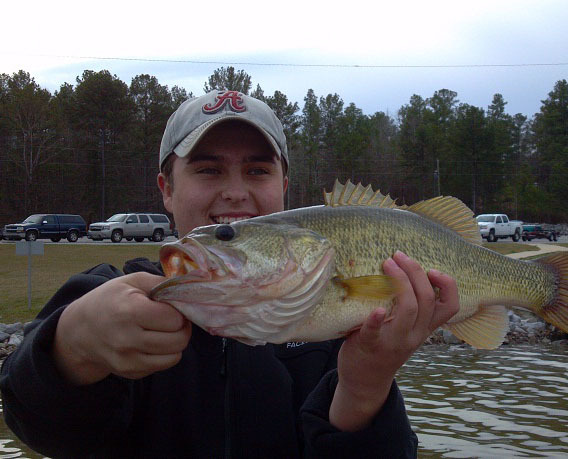 Lures like spinnerbaits featuring oversized blades and displaying gaudy colors, are often better in off colored water to stained water conditions. Lures with rattles and added scents are often better in stained water conditions. Visiting Wheeler lake this winter season? Always call on Reeds Guide Service…first! “Over 30 years exploring massive, Wheeler lake in every season” Several professional guides and boats available, year round, to any lake in Alabama. 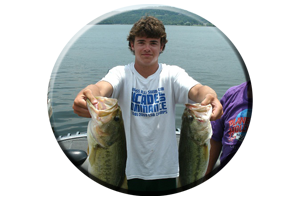 Keep in mind, a guided fishing trip with Reeds Guide Service makes a great gift for those loved ones that love to fish!